I did a partial commute this morning. Partial commute means I take the train part of the way and ride part of the way. It almost splits up perfectly 35 miles on the train and 30 miles on the bike. It was just getting light out as I pulled into a Starbucks. Once in side a gentleman approaches me and says “Your reflective stuff works. Man I can really see you a mile away” That’s good to know since I leave the house before 5am on my commuting days. Thank you Nathan Sports for the gear. I really like the terry cloth ankle bands from Nathan. They are really comfy and very reflective!! My wheels have reflective tape on them. I don’t worry about the “uncool” factor of having reflective tape on my wheels or my bike. I have a family and I need to get home to them. 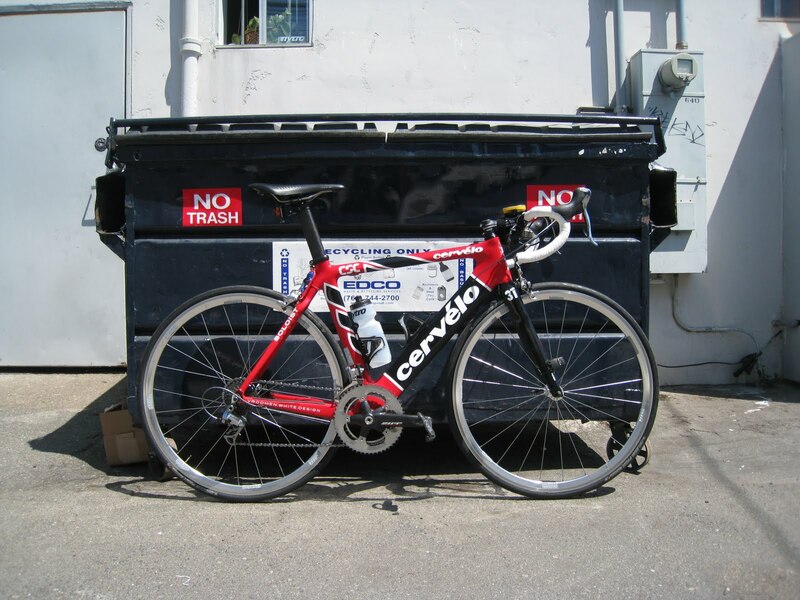 My I present to you Chloe, my Cervelo Carbon Soloist. This entry was posted in Nathan Sports, On My Commute, Sponsors by REV Cycling Directeur Sportif. Bookmark the permalink.